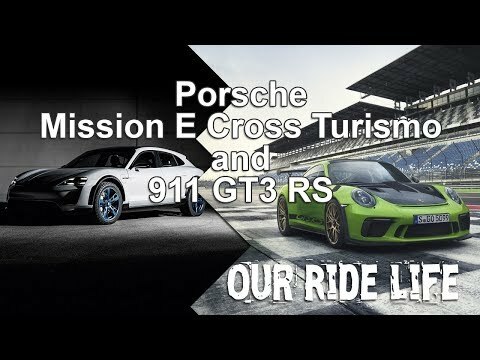 At the Geneva Motor Show, Porsche unveiled both the Mission E Cross Turismo and the 911 GT3 RS. One car represents the future of the brand as it moves toward an all-electric (or mostly all-electric) future. The other is a race car for the street that represents Porsche’s performance history. This video features the unveiling of the Porsche Mission E Cross Turismo at the Geneva Motor Show. The Porsche 911 GT3 RS also made its debut at the show (although we saw a lot of it before the actual debut) and this video features driving footage of the GT3 RS. Just a tip, when it gets to that part, make sure to turn up your sound. Scroll down to the comments and let us know what you think of Porsche’s latest models.